Moviewall - Movie Posters, Wallpapers & Trailers. : I Could Never Be Your Woman. Rosie (Michelle Pfeiffer) is a 40-year-old single mother in Los Angeles. But life is not working out exactly as planned. You Go Girl, the TV show she produces, is in serious trouble; her sexist boss Marty (Fred Willard) wants to replace it with a reality show, and her assistant Jeannie (Sarah Alexander) is bent on sabotage. Things nearer home aren't much better. 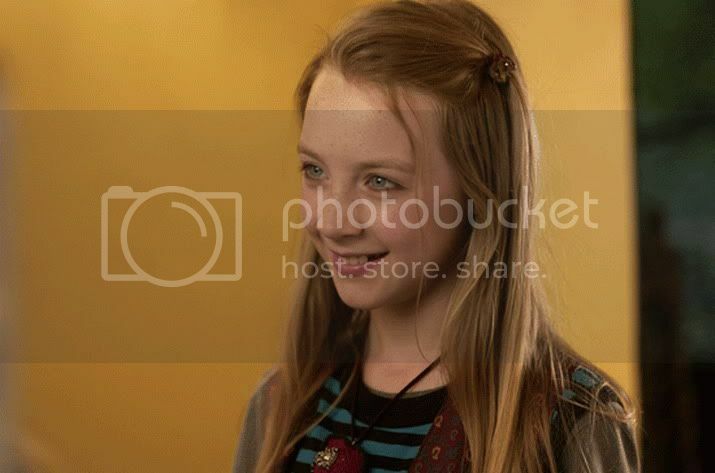 Her ex-husband is having a baby with a younger woman, and Rosie's daughter Izzie (Saoirse Ronan) is hurtling into pubescence, abandoning her Barbie dolls for a schoolboy degenerate called Dylan (Rory Copus). Then talented young actor Adam Perl (Paul Rudd) walks into the casting room and straight into Rosie's heart. But, in La-La Land older women dating younger men is not the natural order of things. Rosie fights her feelings, but Adam turns the show around and laughs her into bed. Even Izzie likes him. Could things have taken a turn for the better? Not if Jeannie has anything to do with it. 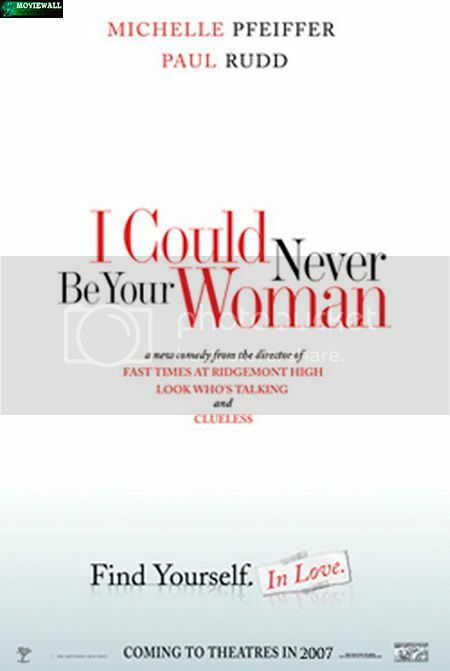 Movie Title: I Could Never Be Your Woman. Starring: Michelle Pfeiffer, Paul Rudd, Saoirse Ronan, Tracey Ullman, Fred Willard, Stacey Dash. Release Date: November 9th, 2007 (USA.